On the second day of our “No Destination” Road Trip, we left amazing Krause Springs after an incredible morning rain shower. It gently fell from the sky in silver streaks, and we all danced and played in the warm rain after an early and chilly morning swim. 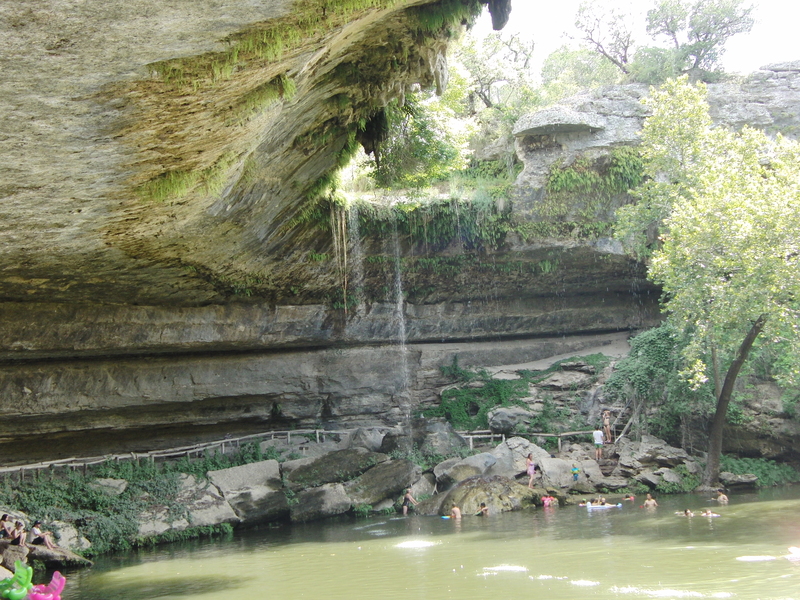 During breakfast, someone mentioned Hamilton Pool Preserve, and as the day was heating up, we all agreed that we could use a little more cold water. A day use site, Hamilton Pool is owned and maintained by Travis County, and just west of Austin, about a half hour drive from Krause Springs. Hamilton Pool is extremely popular, always crowded and sometimes impossible on the weekends to get into because they only allow a certain number of guest at any one time. When the limit is reached, they permit some cars to wait in line, and eventually start turning others away. Moral of this story, it’s best to arrive early. 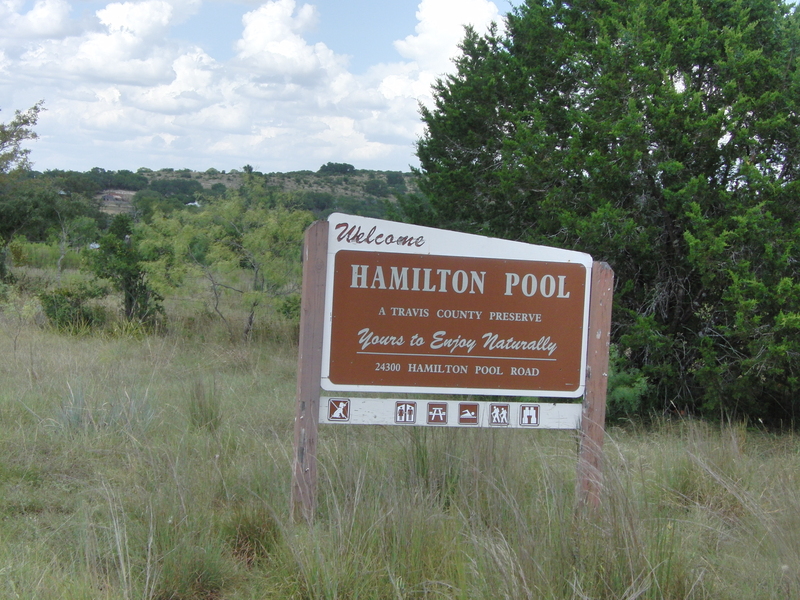 Beginning May 1st – September 30th, 2016, you MUST have a reservation to visit Hamilton Pool. They will begin taking reservations mid-April for the 2016 Summer Season! 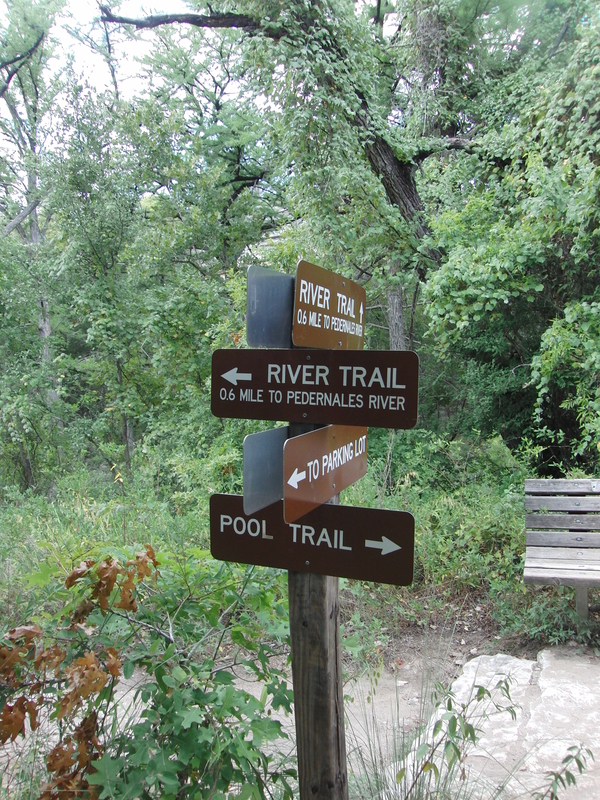 Luckily, Reimers Ranch Park, also owned by Travis County, is right next door on the Pedernales River, and usually easier to get in. 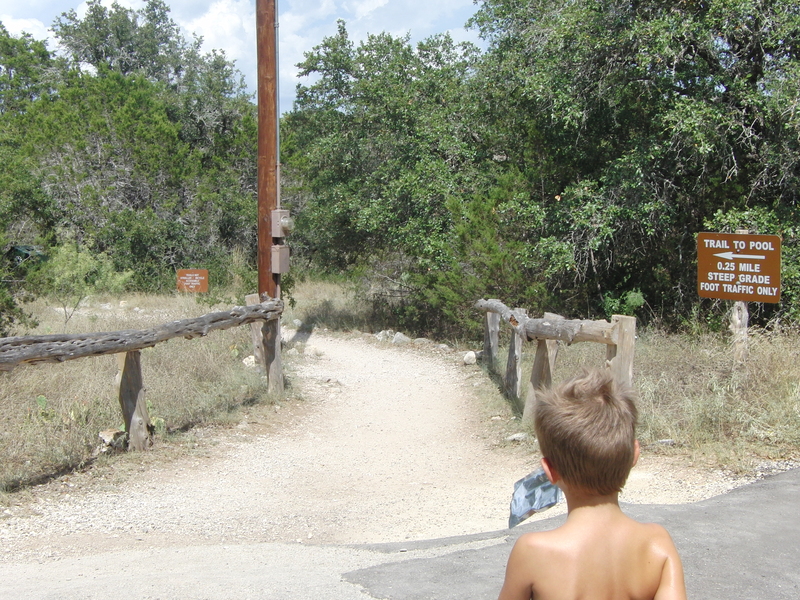 Your $10 fee at the gate gets you into both, as well as all Travis County Parks for the day. Coolers (no alcohol or glass) are permitted in the park, but pack lightly. It’s a 1/4 mile walk down to the water. Rules, rules, rules…. Being a preserve, there are lots of rules. The habitat in the area is fragile, and you need to stay on the marked trails – No EXPLORING! 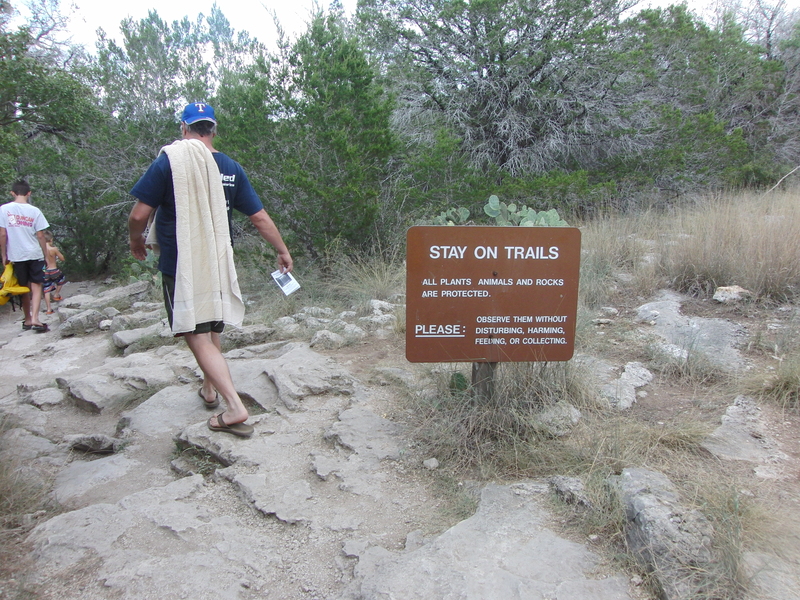 The trails are a little steep and sometimes slippery, so I suggest you wear tennis shoes or water shoes. Obviously, my family doesn’t listen, as they are all wore flip flops. 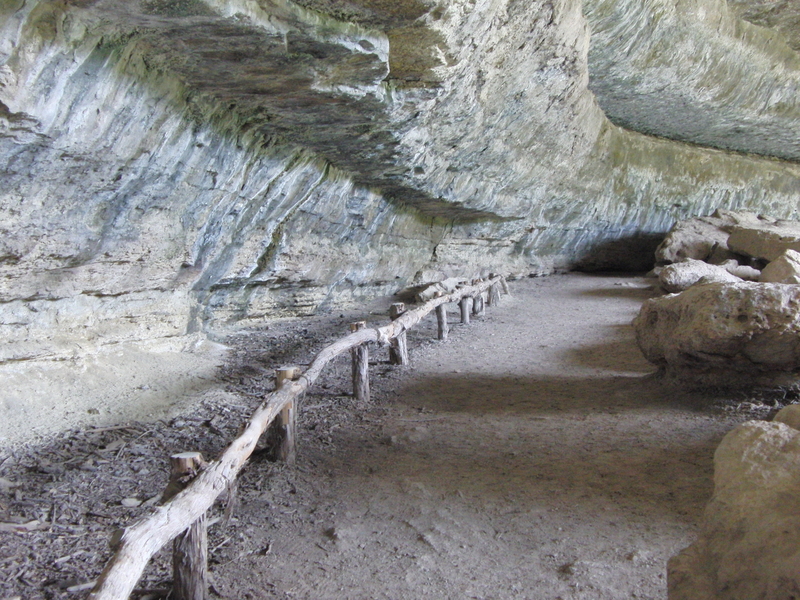 You CAN choose to hike to the Pedernales River. I always say I want to do it, but it’s SO hard to leave the pool once you get there. It’s a beautiful hike down to the pool. But the pool is just spectacular! 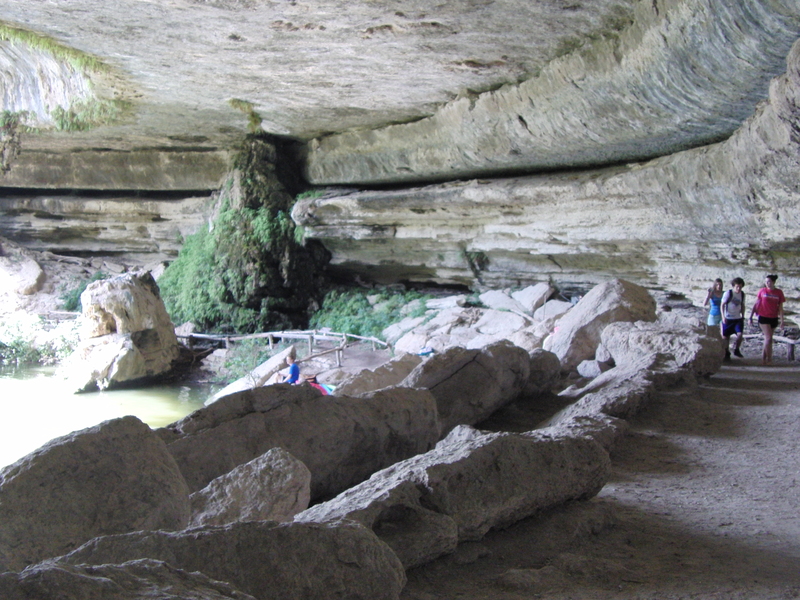 The grotto was formed when the dome of an underground river collapsed from erosion, creating this amazing grotto. The water is spring fed from Hamilton Creek, and chilly. It’s a rock and sand bottom, and usually has a fair visibility (bring goggles). It’s shallow around the shore, and gradually becomes deeper in the middle. 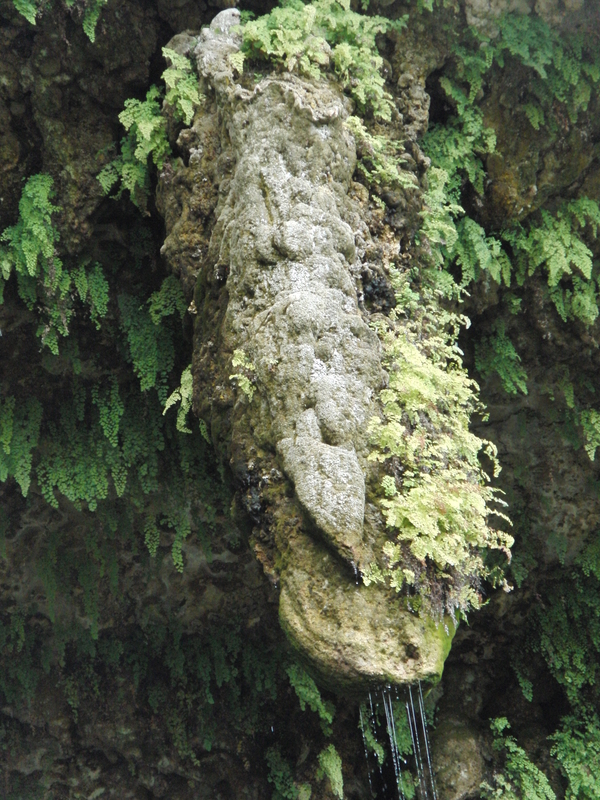 The water runs off top of the creek, down features like this stalactite, and drops about 50 feet into the pool. The delicate ferns and other foliage surrounding the pool is amazing, and why so many restrictions are in place. At the back of the grotto is a walkway, which goes the entire way around. 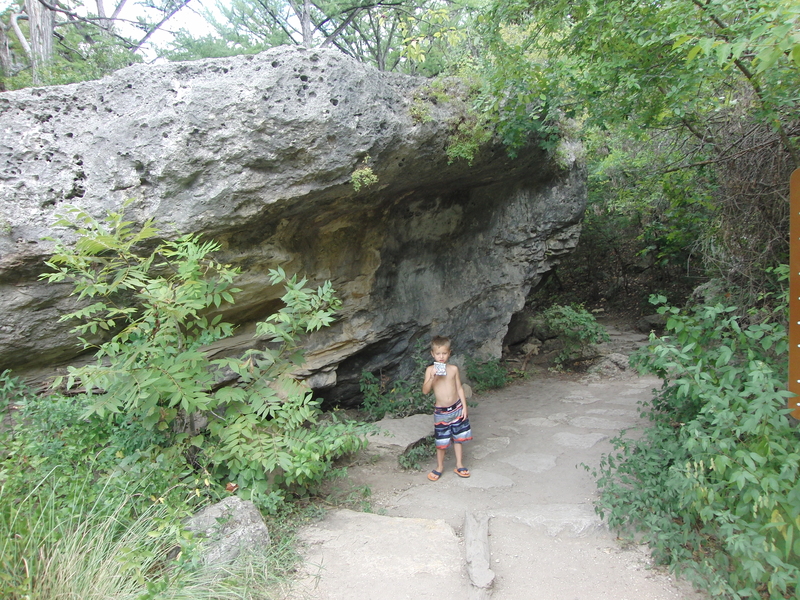 Of course, my kids preferred to climb on the huge rocks, which is about the only place there where climbing is permitted. 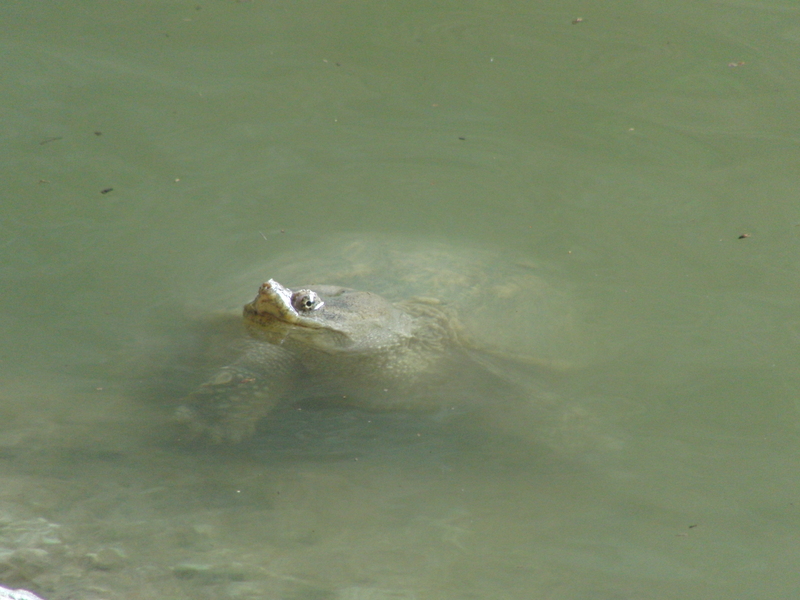 Although the word pool suggest something else, it is a natural area, and wildlife does exist in the water, and surrounding area. We saw more rock squirrels and cliff swallows make their homes in the grotto, too. 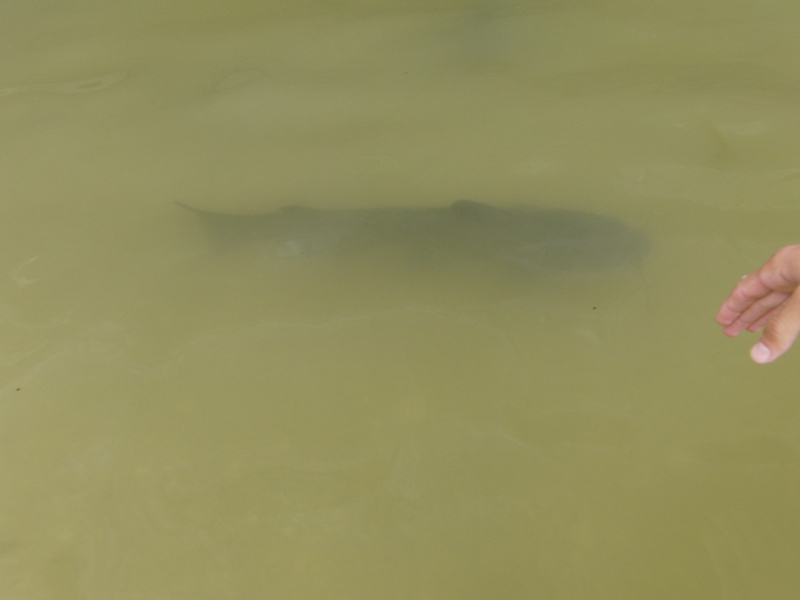 In the water, we were welcomed by small fish, and many large catfish which swam right up to say hello. There are rules against feeding any of them. My five-year old was only slightly afraid when the large catfish began swimming up to us, so close their tails would brush our legs. He quickly realized he was safe, and then LOVED seeing if he could touch them or get them to swim through his legs if he stood with them apart! Imagine how excited he was when the largest one did! A group of about 7 of the catfish were circling his legs, and he couldn’t contain his excitement or his quick wit. As I’ve played the soundtrack to Les Miserables OVER and OVER this summer, and he’s committed most of the songs to memory, he began singing one of his favorite lines to the other children near him, “Look down, Look down, You’re standing in catfish.”! The water falling from above varies, depending on the amount of water in the creek. Although the water does flow out of the pool, it can be very slow. Travis County checks the bacteria levels in the pool, and will close if warranted. Always check their website for pool information before driving out. 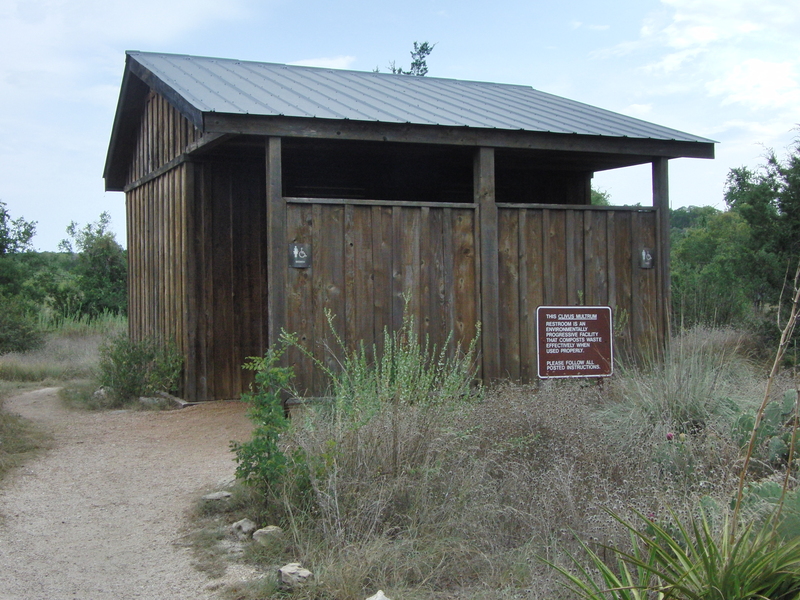 The restrooms are located at the beginning of the trailhead, so make sure everyone goes before you head down. No lifeguards are on duty, swim at your own risk. Bring life jackets for younger children. Pack a lunch, plenty of water and snacks. There is not ANY food at the park or water, and NO stores or restaurants for miles!! Floats and tubes are allowed, and useful for floating in the deeper water towards the middle of the pool, which is much less crowded. The beach isn’t sandy, but consist of small pebbles. My five year old enjoyed building small rock towers and houses, just as you would a sand castle. In lieu of sand toys, bring a small shovel and bucket. 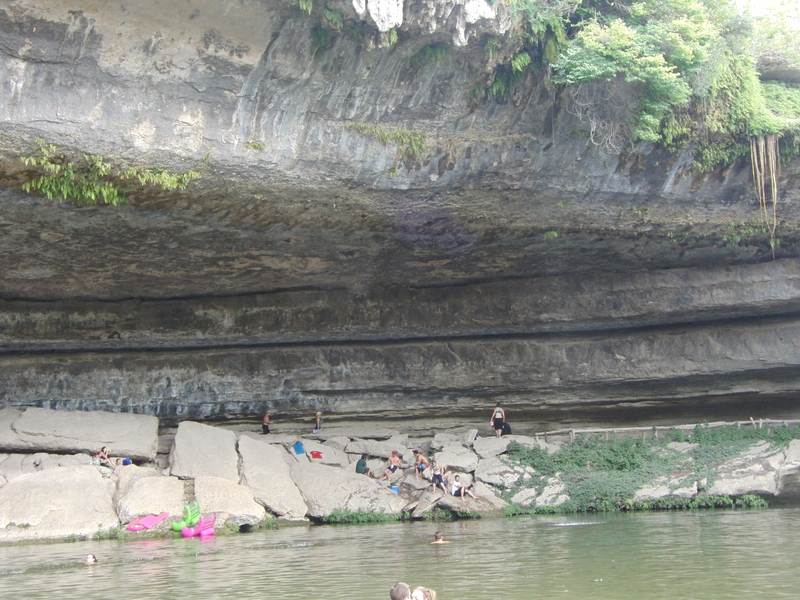 The only seating is on the rocks, so bring a towel to sit on, and keep your packing light. We carried a small cooler with plenty of water, and lunch. No dogs, no camping, no fires. We had an amazing time at Hamilton, arriving when they opened and we were the very last to leave. To read about our “No Destination” Road Trip from the beginning, click HERE. Take a tour of Texas Hill Country Olive Company! Click HERE to visit their website. Creek Road Cafe Click HERE to see why they are so wonderful! Okay, it’s in Spicewood, but Cypress Valley’s Treehouse is sooo cool you won’t be mad at me! In fact, your kids will love me for telling you about it! 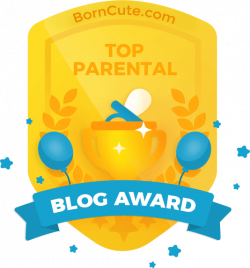 Click HERE to be wow’ed!